Vibration cb7 when speeding up. HELP! I have 93 Accord coupe ex. I noticed a bad vibration when speeding up. got tired balanced, tie rod replaced. still I know i needs rotors, but the vibration happens when speeding up and a high speeds. I don't think rotors cause that. The vibration in more on drivers side. my door panel shakes. 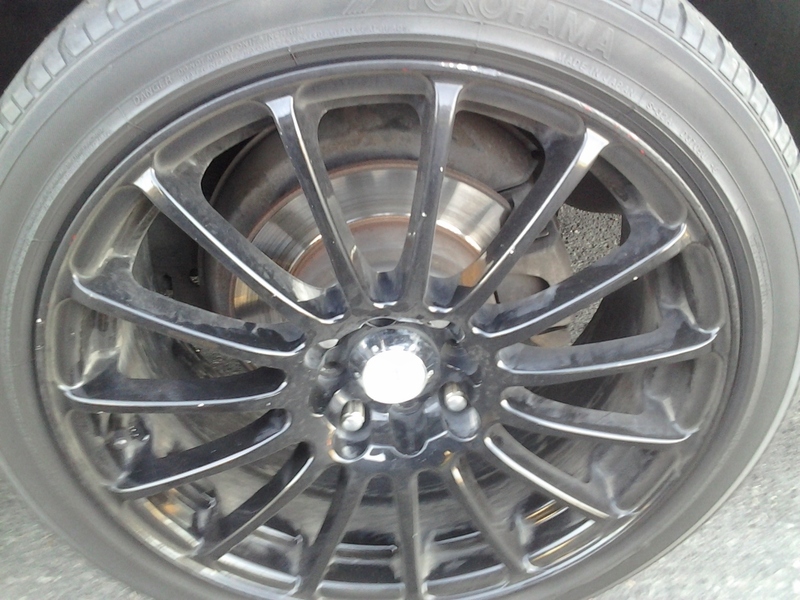 Oh and my passenger side front tire looks flat and my drivers side tirr looks great. Same psi, even with my stock rims. Last edited by toniboicb7; 01-18-2013 at 02:35 PM. Have you had the motor mounts checked recently? no i haven't but when I but it in driving or any gear it makes my head nod. If the vibration happens when speeding up (accelarating) and at high speed I highly doubt it would be a motor mount issue. Worn or "warped" rotors (99% of rotors driven on the street don't warp) wouldn't cause this issue either. My bet would be the tires. Looks like you're running the same size wheels and tires front and rear. I would rotate the tires and see if the vibration goes to a different area or goes away. Tread separation, a flat spot, an out of round tire, etc can all cause the sympton you're describing. Well if you put the another set of rims and tires and you still have the problem then likely it's not the tire(s). Have you checked your wheel bearings or cv joints? It might be a tire that's beginning to fail, as the belts move around. But that doesn't explain how the vibration can still happen when you install a completely different set of wheels & tires. true, but im getting thr feeling it might be the suspensions, shocks struts of bad brushing or ball joints. But I am going to buy new tires and rotors. Also have my wheels checked for anu bends or cracks. Quick Reply: Vibration cb7 when speeding up. HELP!